Ahh biscuits.. It’s cold, icy, and miserable outside but I don’t mind at all as I’ve got these yummy scrummy biscuits for dipping in hot tea! 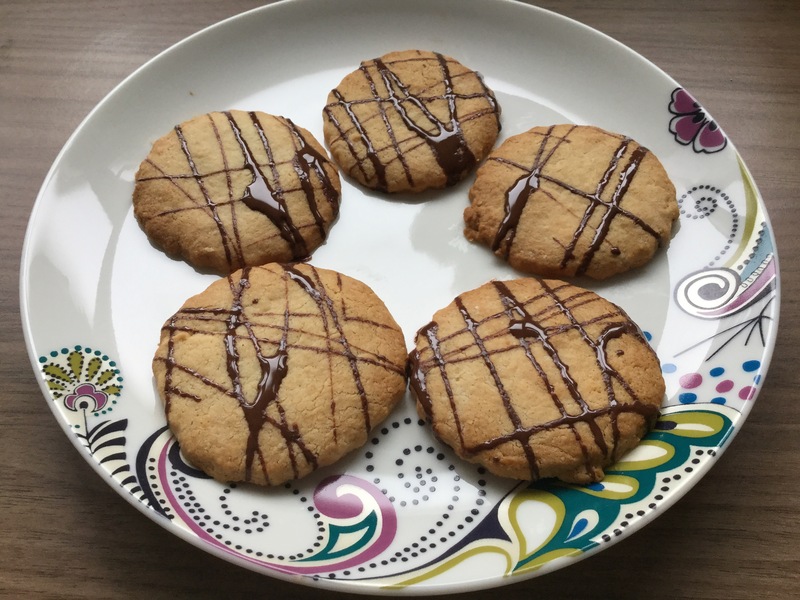 They are really simple to make and bake very quickly, really, from the point of sitting and thinking to oneself ‘boo, I have no biscuits’ in a mere 15 minutes you can have biscuits! Start by mixing together the cornflour, almonds, tapioca flour, xanthan gum and salt. Weigh the coconut oil and golden syrup into a bowl and microwave on short blasts till the coconut oil has melted, the two will remain seperate, don’t worry! Pour the wet ingredients into the dry and mix together to form a soft dough. Roll out to about 5mm thick and either using a cutter or a knife, cut into 12 biscuits. Place on a lined baking sheet and put in the oven for between 6 and 7 minutes, or until the biscuits are turning golden. 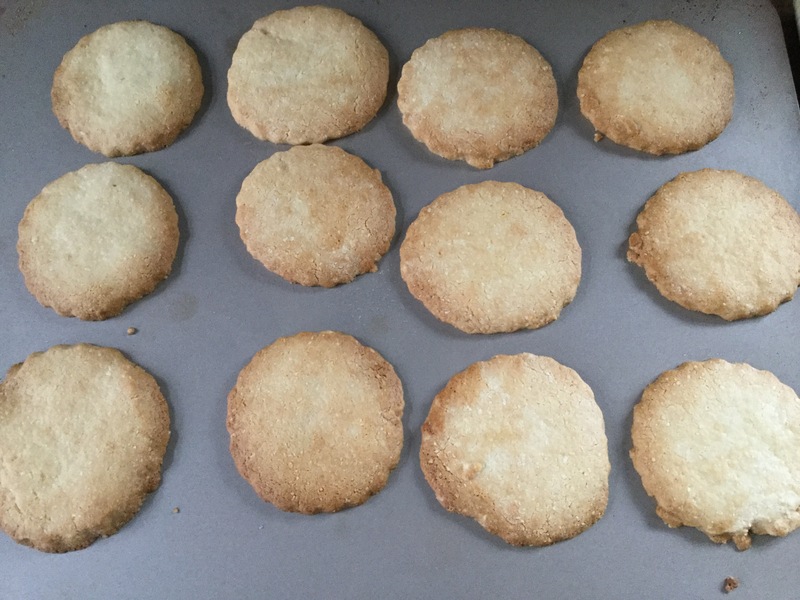 Take the biscuits out of the oven and transfer to a cooling rack. Melt the chocolate in short blasts in the microwave, the using a spoon artfully dribble chocolate over the top of the biscuits.